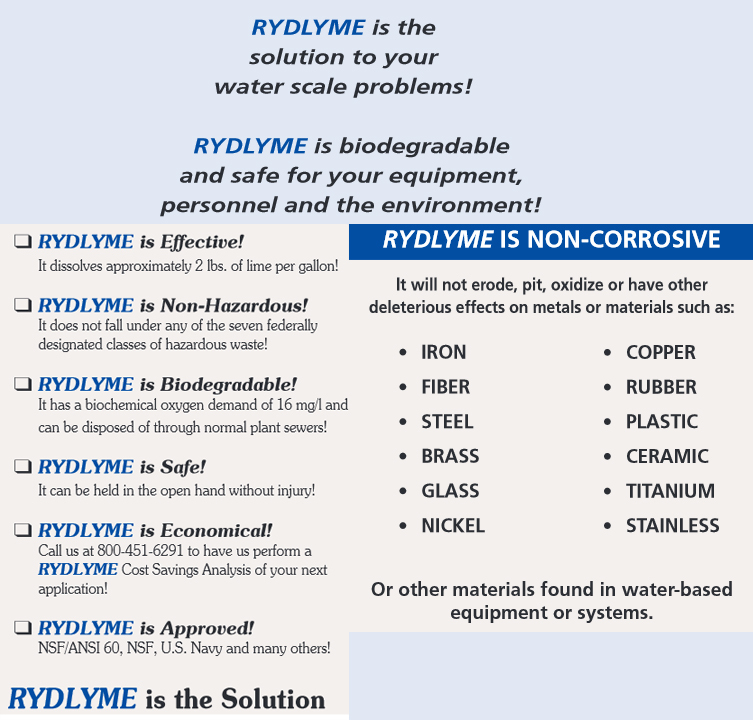 The biodegradable RYDALL CX Crude Deposit Cleaner is specifically designed to clean crude oil exchangers where pyrophoric corrosion deposits (e.g. 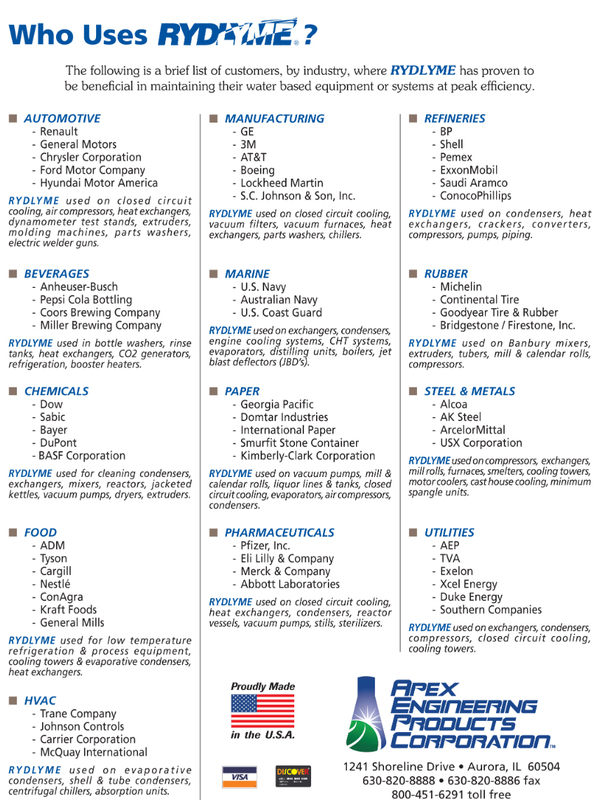 iron sulfides) are present without having to pull the bundles or dismantle exchangers. 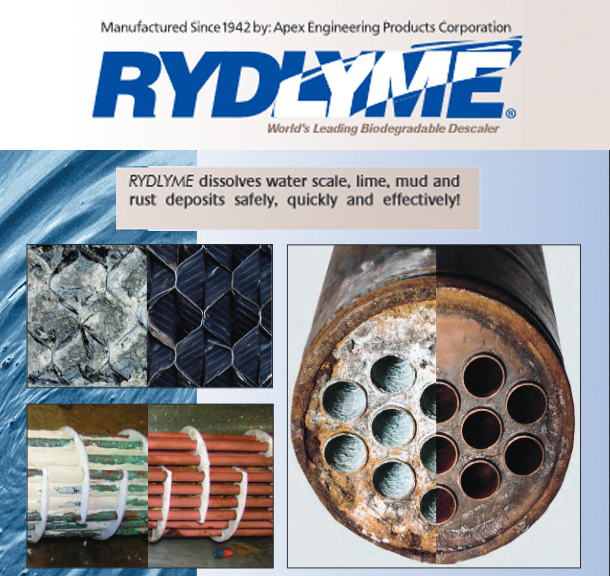 The biodegradable RYDALL DD Definitive Degreaser is a citrus-based, heavy-duty degreaser used specifically on all carbon-based derivatives found on the oil and/or process side of your equipment or systems.